1-week Outdoor Kitchen in Sweden! This is an outdoor social space we built last fall in Sweden. 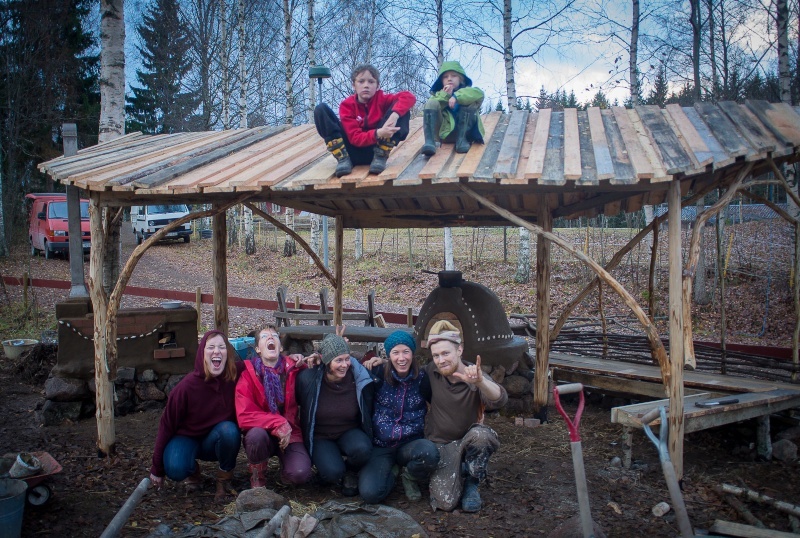 It was finished within a week and it includes griddle rocket stove, cob oven, wooden bench and roof! This Summer we offer courses on outdoor kitchens with different options for efficient cooking and baking, as well as courses on Rocket Mass Heaters for efficient home heating during the colder months of the year! More Information under Courses 2014. I love this so far. I hope to be building my own soon, thanks for the inspiration!